If you experiment empty dropdowns with the Virtuemart user registration form it's likely you have a weird conflict with the dynamic checkbox feature of GDPR. 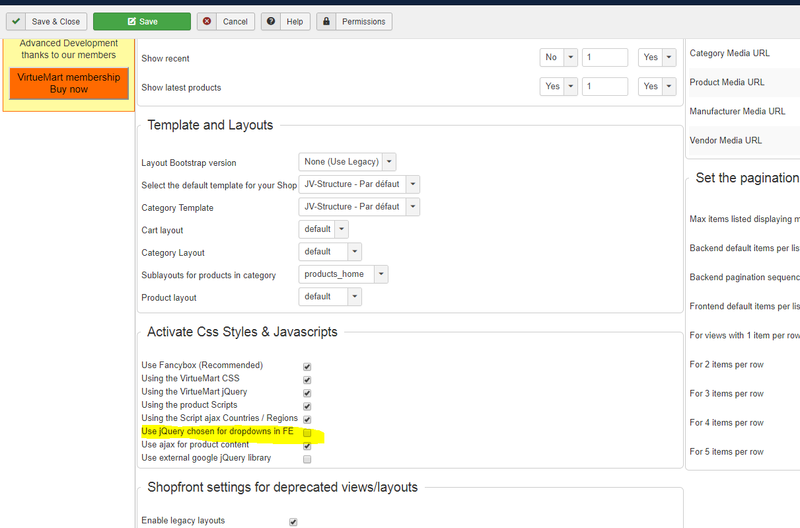 In such case disable the following parameter in the Virtuemart configuration to not use jQuery chosen. Last Edit: 2018/10/18 20:12 By @store$eco#mm!.